Large bulbous base, ponytail style foliage which is how it gets its name. 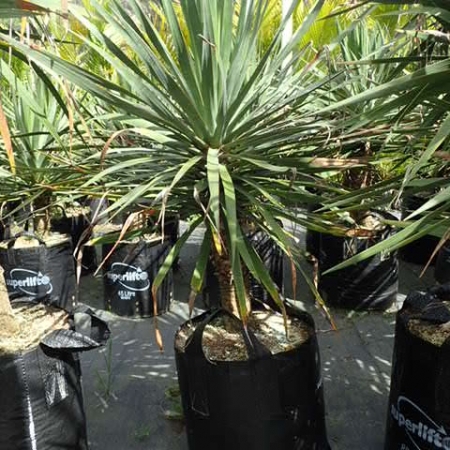 Hardy and tolerates dry conditions. 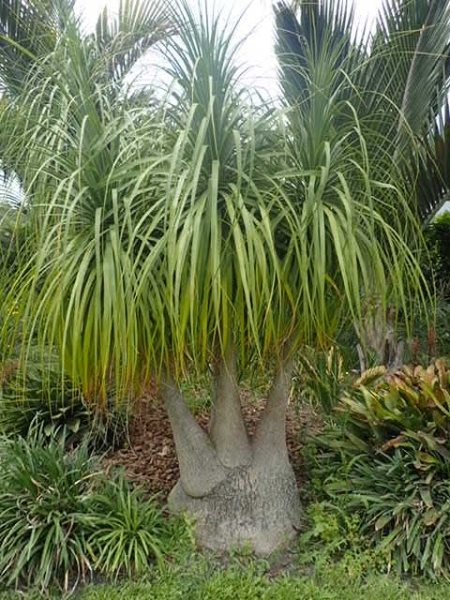 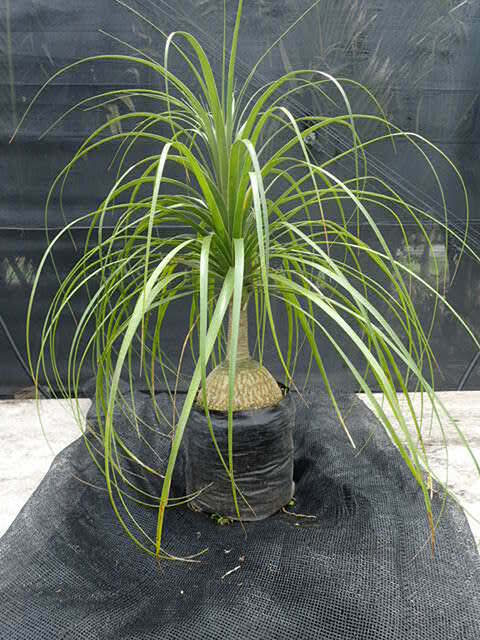 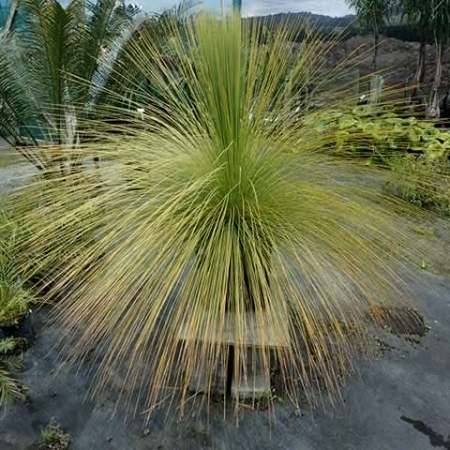 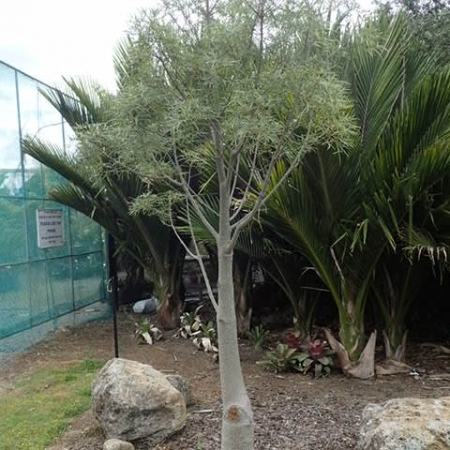 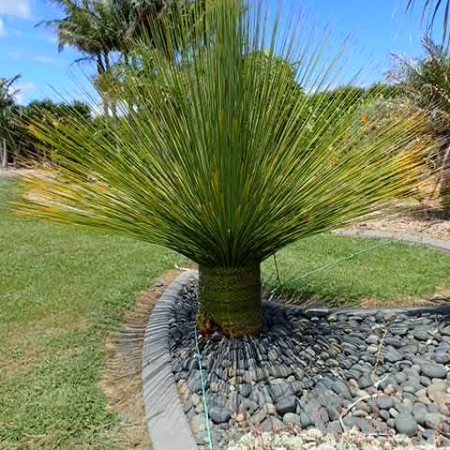 Attractive palm for a pot or garden.